I've been very busy at work again, hence the lack of posts. It's no excuse, though - plenty of other busy people manage to update their blogs on a regular basis (and in the case of Jim Purky run a miniatures company as well!). But the truth is I've picked up a paintbrush just once during the past 3 weeks; and that's pretty unprecedented for me. I have some units reasonably close to completion, but they are likely to take a while. So in the meantime, I'm going to post some pics from my recent trip to New Zealand which may be of use to anyone else who's dabbled in the Maori/NZ/Land Wars of the mid 19th century. 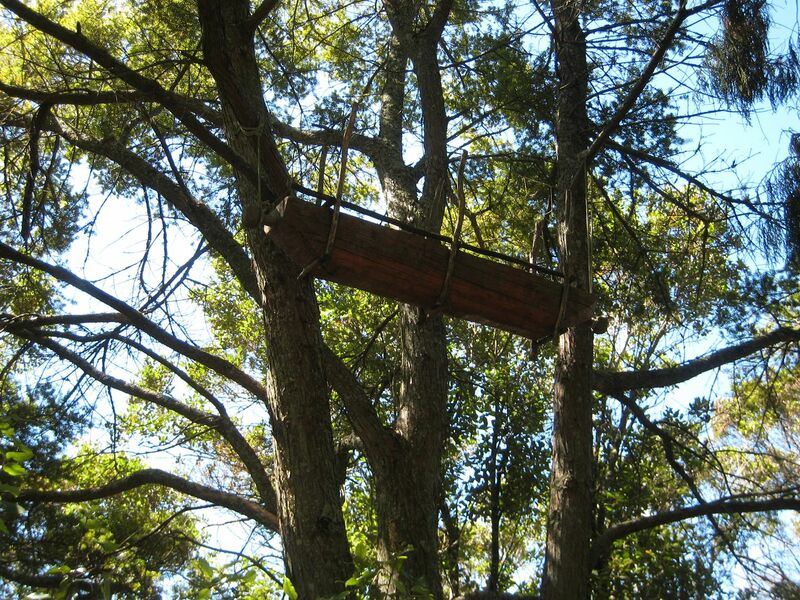 I'm going to have two posts about the days we spent in Rotorua. This is a city about 2.5 hours drive south of Auckland, near the Bay of Plenty on the east coast of North Island. It is famous for its lakes, volcanoes and "geothermal activity" - the small of sulphur rather hangs over the place. One of the area's volcanoes, Mount Tarawera, erupted in 1886, destroying the Maori village of Te Wairoa and a pair of natural wonders called the Pink and White Terraces, and killing over 100 people. There are still bubbling hot springs and geysers all over the place. 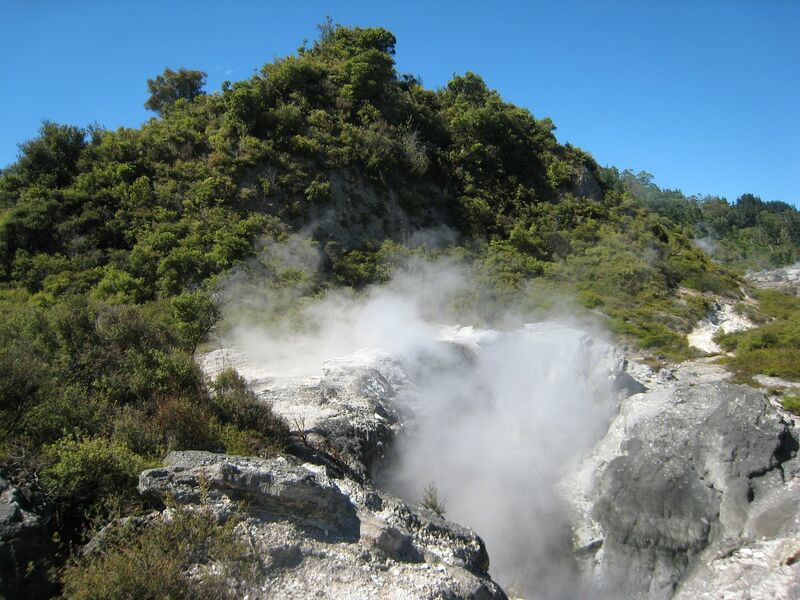 Rotorua has always been a Maori-populated area and its tourist attractions are centred on geothermal parks and Maori culture. In this post I want to discuss some Maori items and the next post will look at Kiwi fauna and flora. 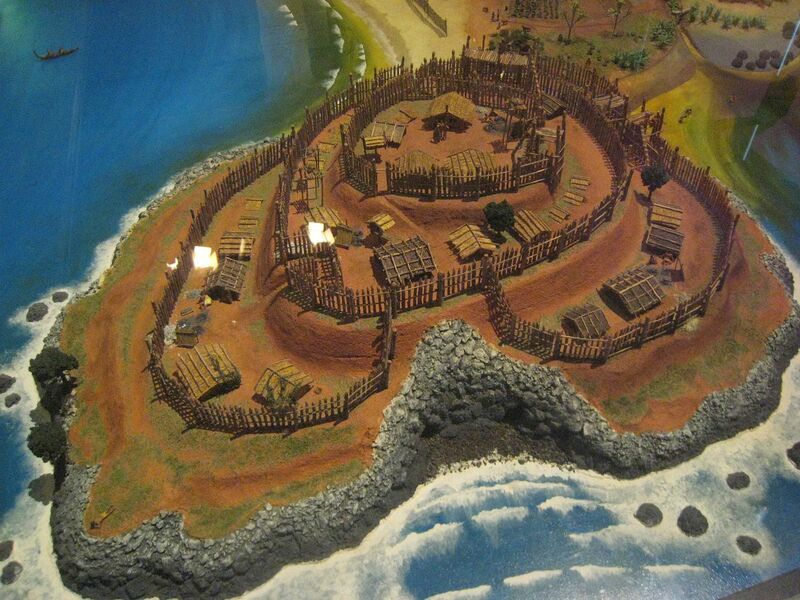 The idea is that these posts might be informative for modelling terrain for the NZ Wars. 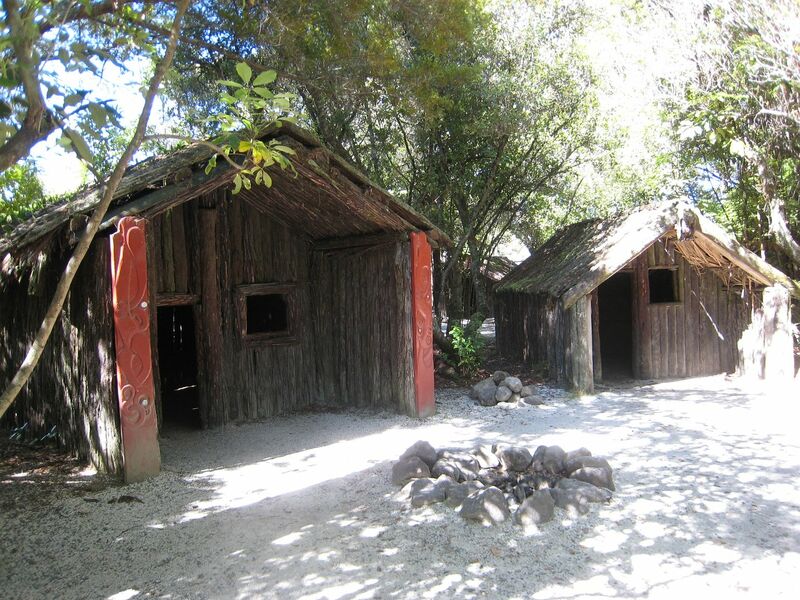 The thermal springs park we visited was Whakarewarewa, which is the site of the Maori pa of Te Puia. Maori first inhabited this site in the 14th century and the fortress of Te Puia was apparently never captured in battle. 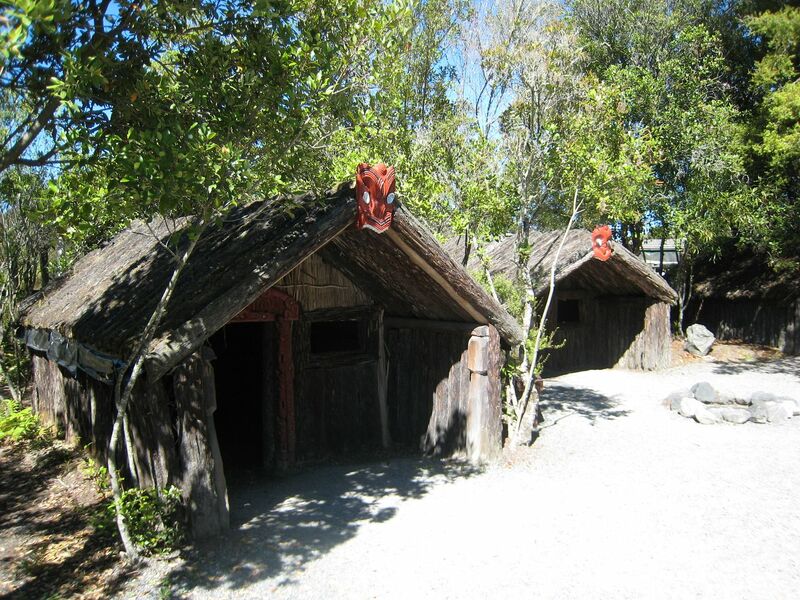 The park has some replica Maori homes which are shown below. These should be pretty easy to model, I'd have thought, also the carvings could be tricky. 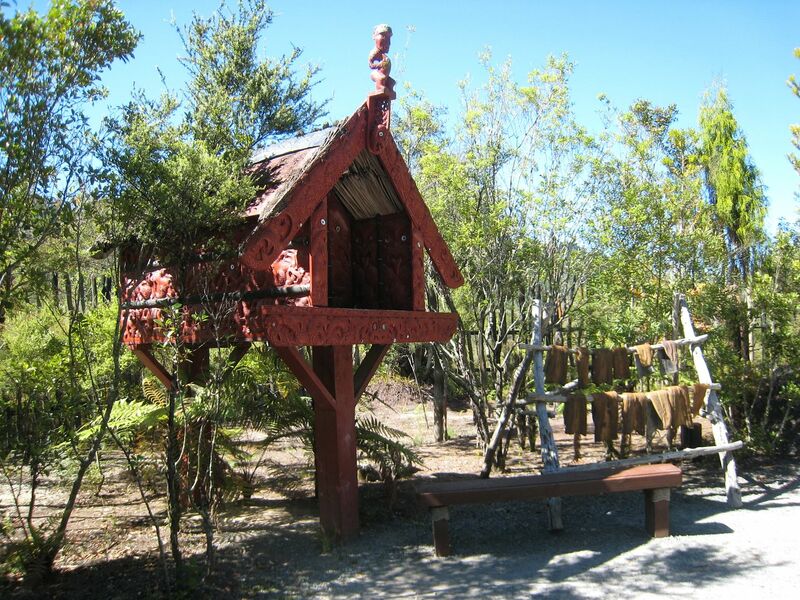 To protect food supplies from marauding animals (and, presumably, marauding humans), Maori kept them in raised hutches like this one. 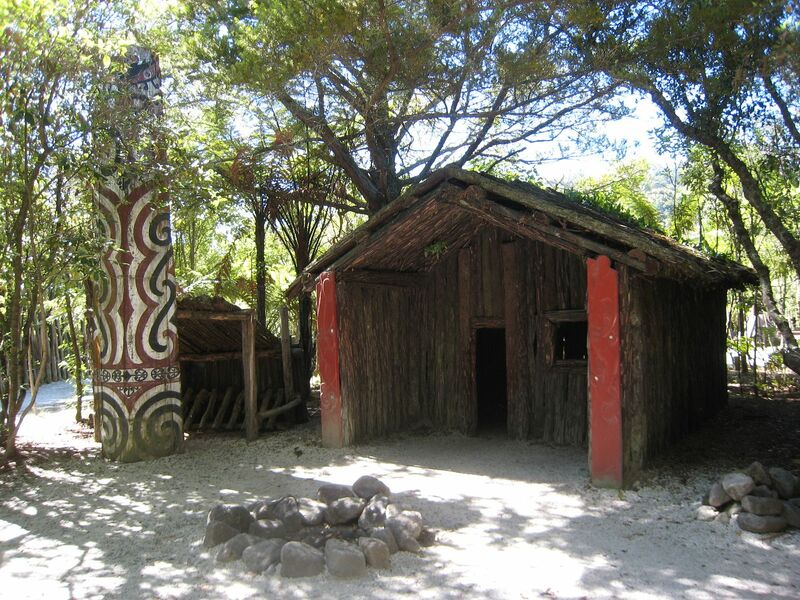 Food availability was a problem for Maori. Fish, eels and suchlike were reasonably abundant in the country's lakes and surrounding seas, but otherwise the remote islands of New Zealand had none of the foodstuffs that we take for granted. 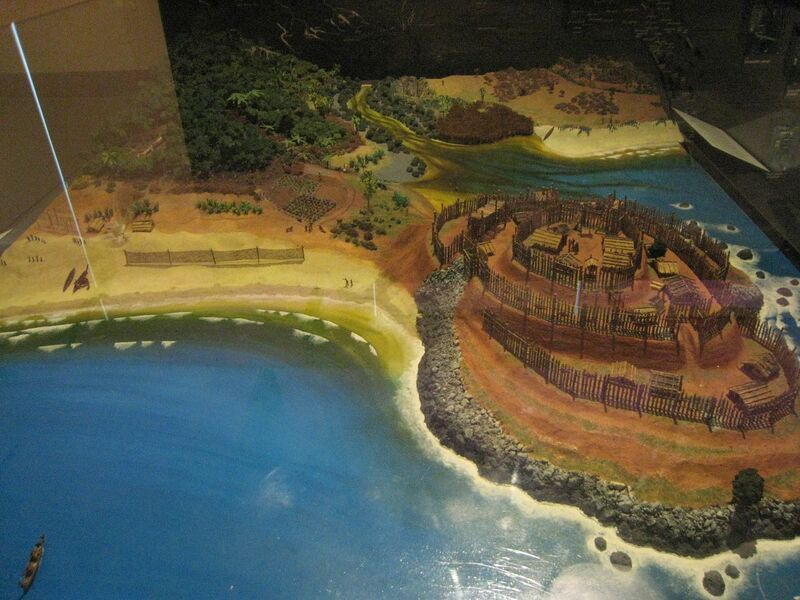 Things like livestock and potatoes only arrived with the first Europeans. The Maori are thought to have hunted the flightless moa birds to extinction, and once that supply of meat was gone the Maori were in trouble. 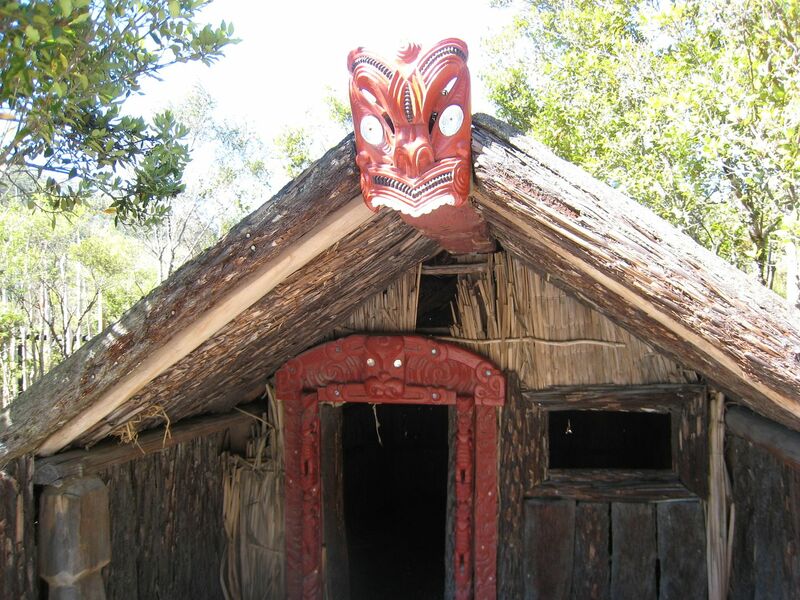 One theory behind Maori ritual cannibalism, in which victors in battle ate the vanquished (and kept prisoners as future meat supplies), is that such behaviour was the natural consequence of the Maori literally having nothing to eat. 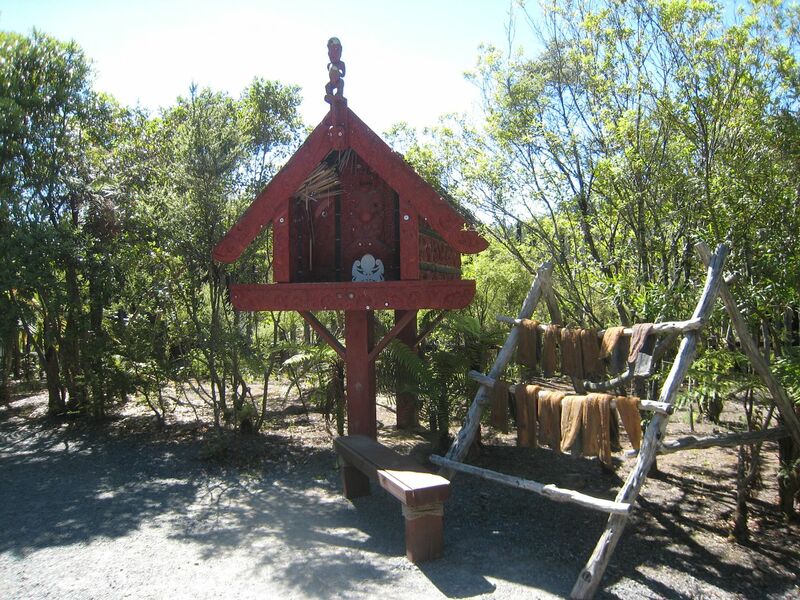 Birds were also on the menu, and the Maori would ensnare them using wooden troughs which were filled with water to tempt thirsty birds. A couple of examples are shown below. The kaka parrot was another important food source and the Maori had an ingenious way of trapping them. Pet kaka would be taken into forest and used as lures, as their cries would attract other kaka. 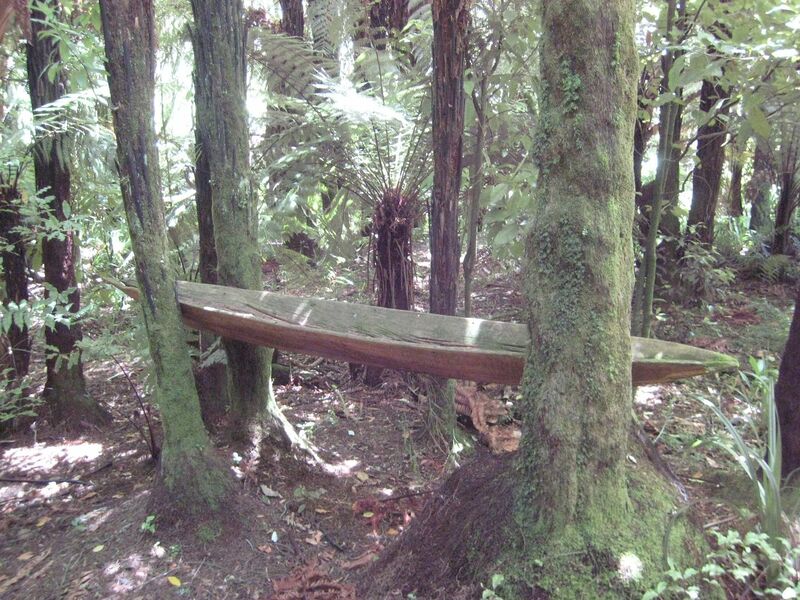 Maori would place snares and artificial perches into the tree canopies so that when the wild parrots arrived their legs would be caught in the snares. Finally, in the Domain Museum in Auckland I found a model of a Maori pa that's worth showing here. I'm afraid I failed to take notes, but the rather rudimentary defences suggest it's a pre-1820s. It has a vegetable garden - I believe these were quite common and if you're modelling a pa it would be a nice tough to include an allotment nearby.